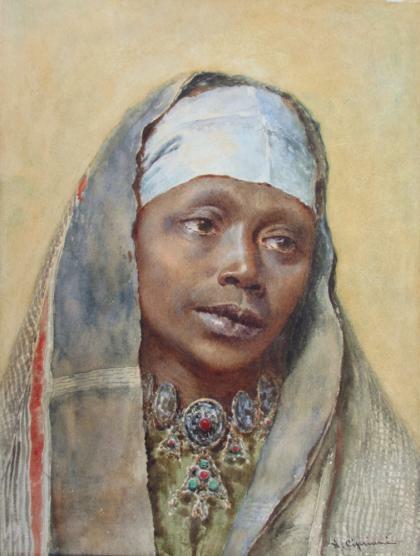 Arab woman portrait, watercolour, N. Cipriani, c1890. 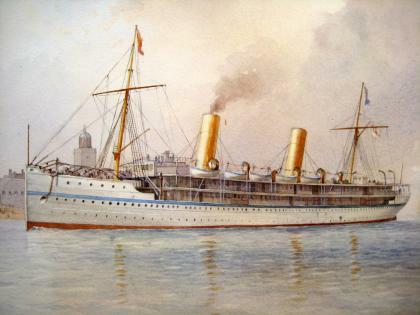 HMS Ophir, Portsmouth, dated 1901. Charles W. Fothergill.